WildFang wants you to feel like yourself in clothes that don’t hold you back. The “Come As You Are” slouchy tee is just that plus 20% off. Snag one for $32 (plus shipping) with promo code RAD20. Considering the German translation of wildfang is tomboy, it’s no wonder the women of WildFang are taking their favorite gender neutral and menswear inspired styles and giving them a female edge. From tees and tanks to button ups and blazers, they’ve given the closet an inclusive and welcome refresh. This tee is a classic slouchy fit crew neck made of 100% cotton. It’s available in six sizes with the medium being 20.5 inches across the chest. 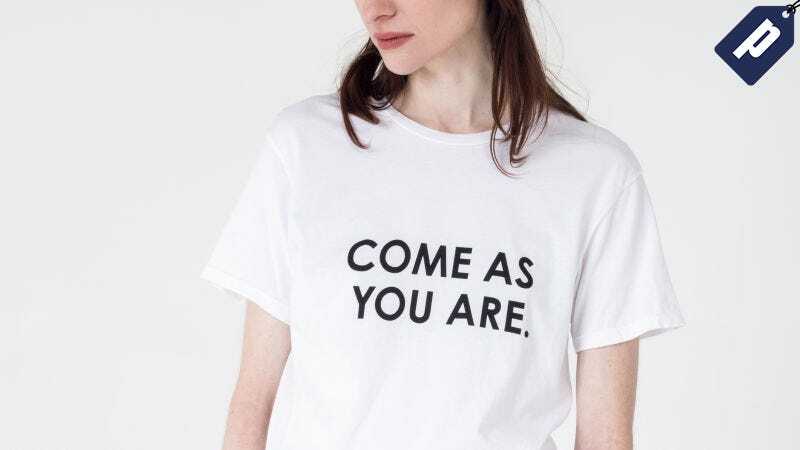 Grab the “Come As Your Are” tee (or the Virino Peau de Loup button-up) from WildFang for 20% off. Use promo code RAD20.